When the going gets rough, let another technician take over for you. Not every issue is an easy one. Or maybe the issue requires higher- level permissions. Either way, you can hand the session over to another technician who can finish the job for you with RescueAssist. So let your tier-1 support team tackle issues first, and if the need arises, they can escalate to tier-2. Or simply complete a session tranfer to whoever can help best. Transfer your support session easily. Giving someone else your support session is a quick process. From the drop-down menu on the session thumbnail, you can select to invite another technician by email. 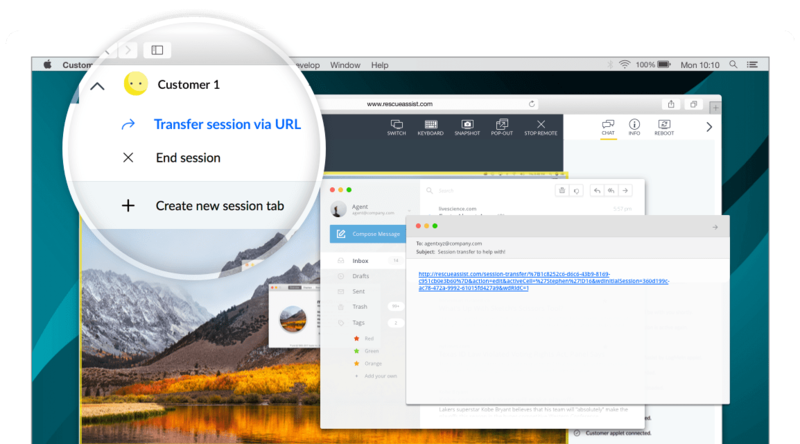 Or, you can copy the session URL to paste in chat. Once the technician clicks the link, he or she will immediately join the session. You’re then free to leave the session, and it will carry on like normal. Help without being put on hold. 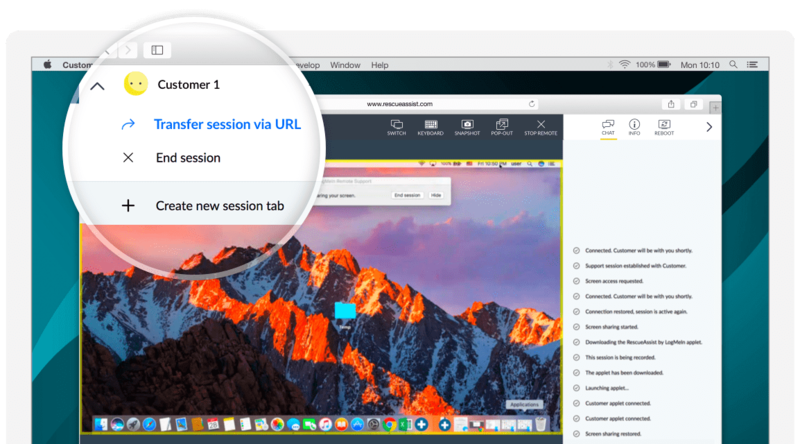 If the technician you would like to transfer your session to already has RescueAssist open, they can jump right into your session from their toolbar. First, give them the 8-digit session code (which you can find at the end of the session URL you would normally send). They can then select Join Session and enter the key to connect instantly. Invite team members to join for quicker issue resolution.